Topic: Webinar on "The Role of the Project Manager"
Re: Webinar on "The Role of the Project Manager"
Webinar on "The Role of the Project Manager"
Topic: Webinar on "Emotional Intelligence in Practice"
Topic: Webinar on "Agile and PMBOK® Guide Sixth Edition"
Topic: Webinar on "The Leader as Coach"
Re: Webinar on "The Leader as Coach"
Webinar on "The Leader as Coach"
Topic: Webinar on "Agile Project Management in JIRA"
Webinar on "Agile Project Management in JIRA"
Topic: Webinar on "Is Scrum a good fit for solving big data challenges?" Re: Webinar on "Is Scrum a good fit for solving big data challenges?" Please visit http://www.discussagile.com/forums/topic/webinar-on-is-scrum-a-good-fit-for-solving-big-data-challenges/#post-8705 for details of claiming SEU for this webinar. Webinar on "Is Scrum a good fit for solving big data challenges?" Topic: Webinar on - What is Scrum? Webinar on - What is Scrum? Webinar on August 29, 2017. 7.30 - 8.30 PM IST + 5.30 GMT. In this webinar we will explore the essentials of Scrum. Topic: Webinar on "The Agile Variant that works in a Start-up"
Webinar on "The Agile Variant that works in a Start-up"
Topic: Making of a Great Scrum Master! Making of a Great Scrum Master! Topic: Facilitation Skills for Agile Leaders! Facilitation Skills for Agile Leaders! Topic: Webinar on 'Agile Marketing' by Maria Matarelli, CST !! Webinar on 'Agile Marketing' by Maria Matarelli, CST !! Topic: How to Ask Powerful Questions? How to Ask Powerful Questions? Topic: Webinar on "Role of an Agile Coach"
Webinar on "Role of an Agile Coach"
29th December 2015, 8 PM - 9PM IST+5.30 GMT. 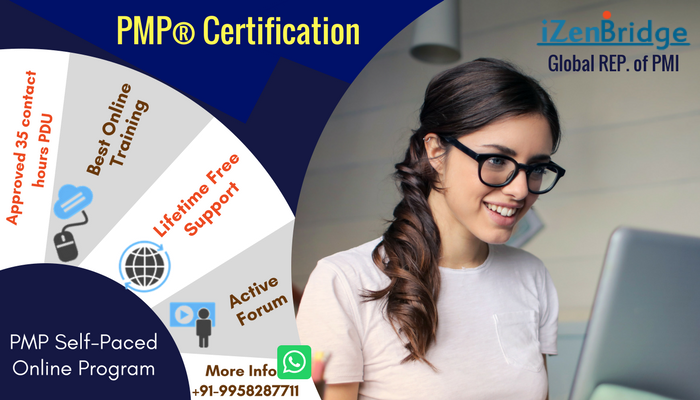 This webinar will focus on “How does PMP Exam Changes affect a PMP aspirant.” Further it will talk about the 8 new tasks added to 4 domains. Speaker : Saket Bansal Register on http://www.izenbridge.com/webinars/pmp-exam-changes/ to join this session. Topic: Recording on "DevOps Primer"
Re: Recording on "DevOps Primer"